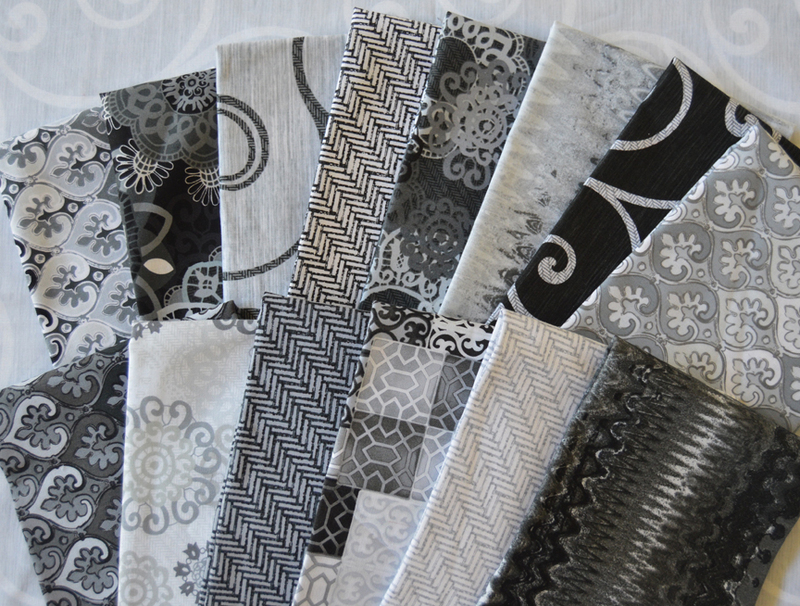 Our new Palermo fabrics from Kanvas from full of contemporary style! Huge stylized blooms and swirls, cool geometrics, and unique wavy stripes make this collection super fun for sewing and quilting! 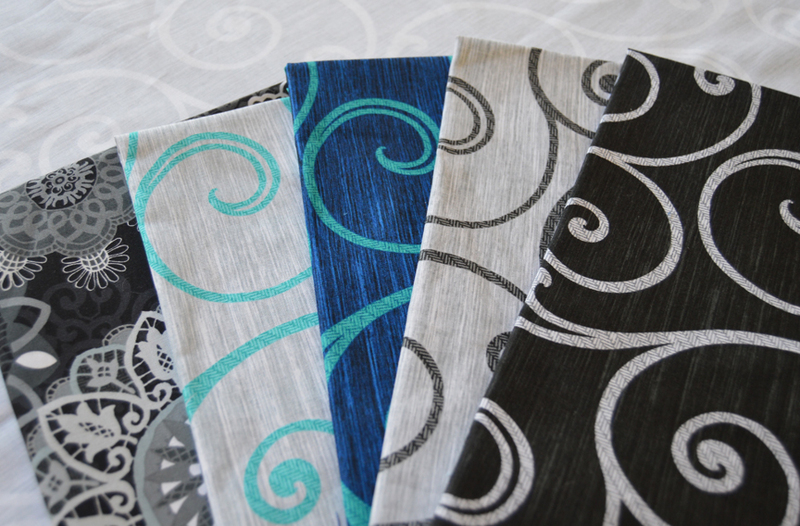 It comes in two colorways: dramatic grays and blacks, and crisp blues and teals. 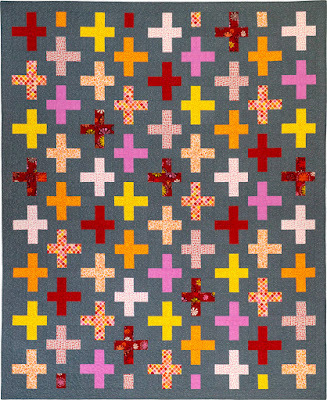 What can you make with Palermo? 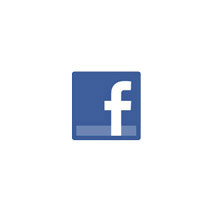 We'll share a couple ideas later this week! 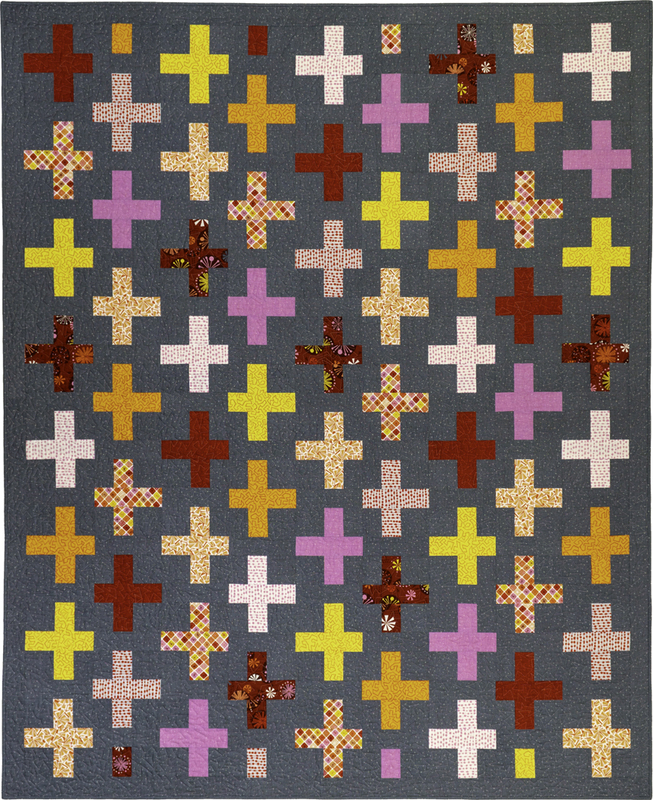 Click here to see the entire Palermo collection. 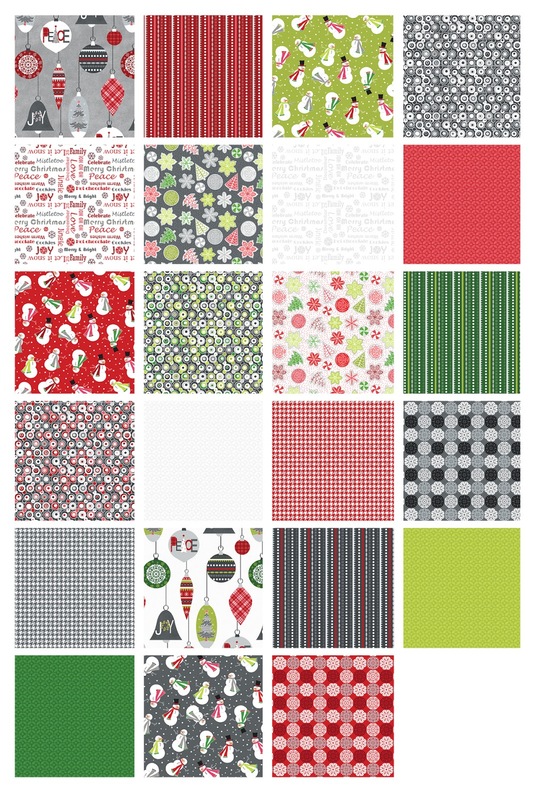 Today we're featuring Merry & Bright, a Kanvas collection with contemporary flair. 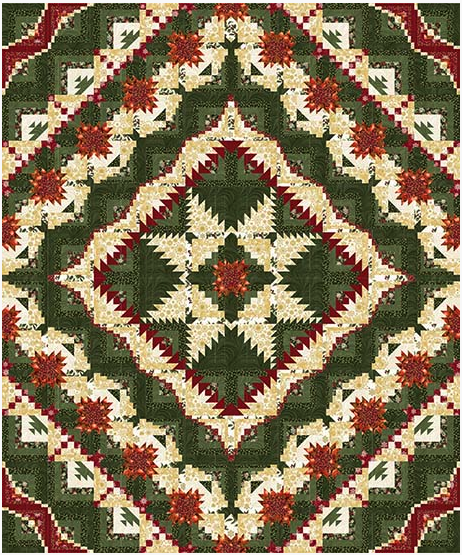 These tree, holly, poinsettia and snowflake prints come in a traditional bright red, green and ivory palette with touches of metallic gold. 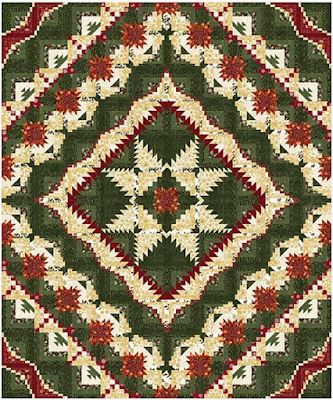 Watch for our free quilt pattern, All Is Bright, on our website. 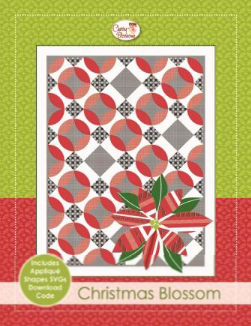 Don't you love how it uses a fussy-cut strip of the holly stripe in the outer border?! 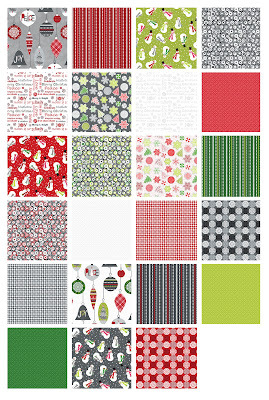 Click here to see the entire Merry & Bright collection. 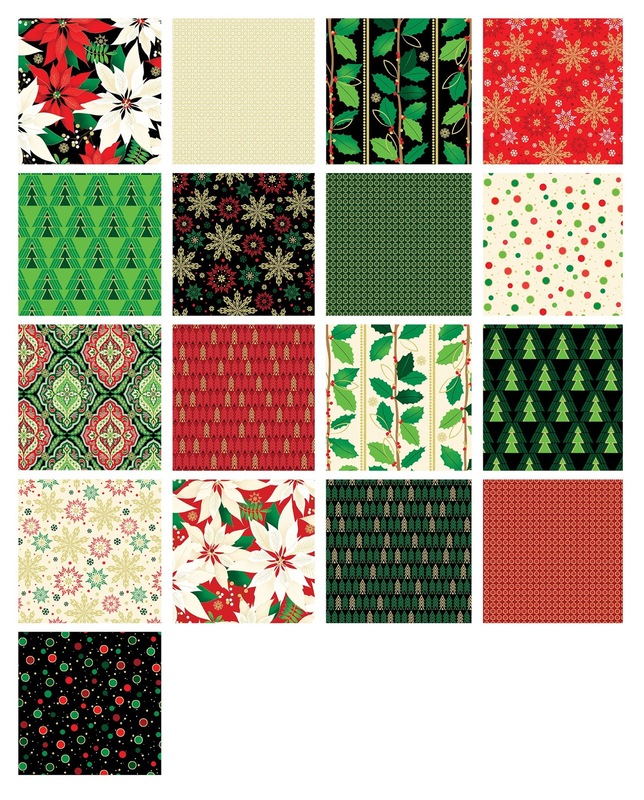 Check out all of our Christmas in July fabrics! 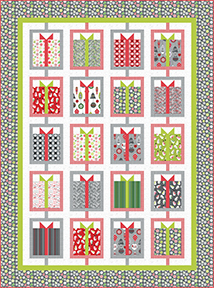 Today we're featuring Cheryl Haynes' Winter Wonderland collection. It includes one of her signature panels featuring a snowman, an ice skate, a bird house (of course! ), and festive winter greens. Twenty-three coordinates in a range of values take inspiration from the designs in the panel and are ideal for both piecing and applique projects. 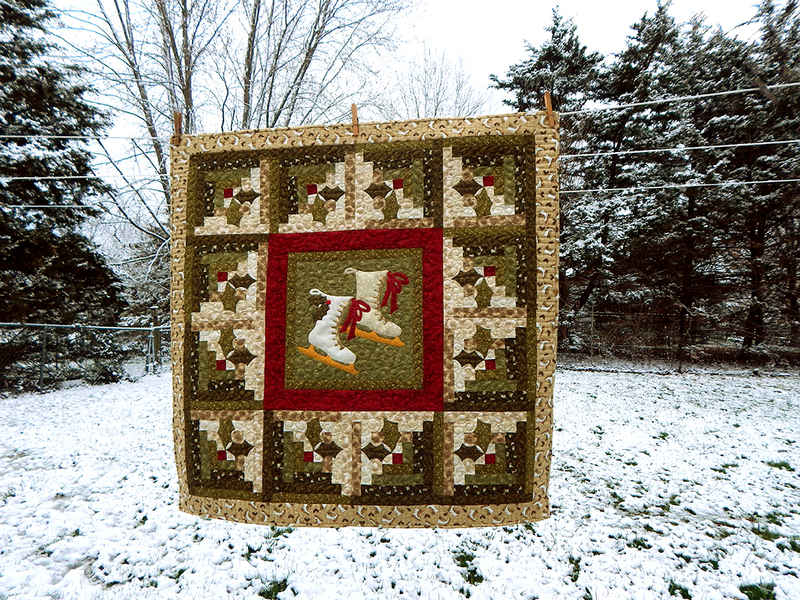 Cheryl designed two versions of her free pattern featuring Winter Wonderland. 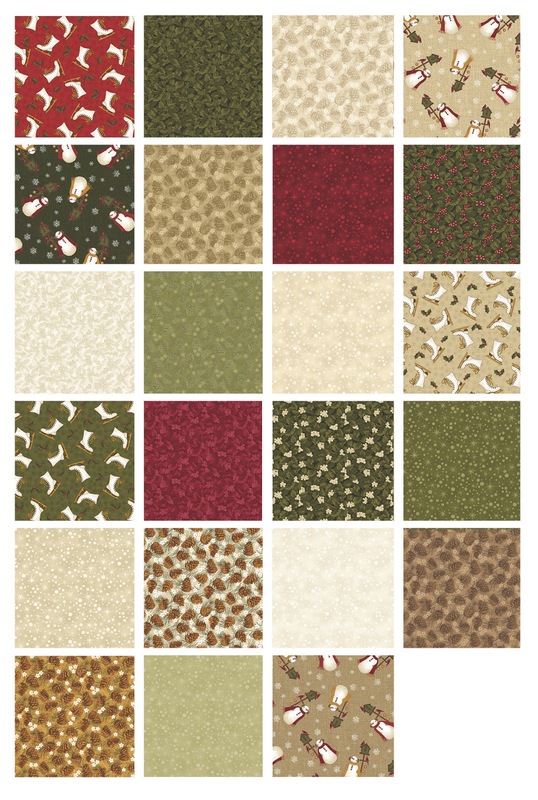 Click here to purchase the My Old Skates pattern. 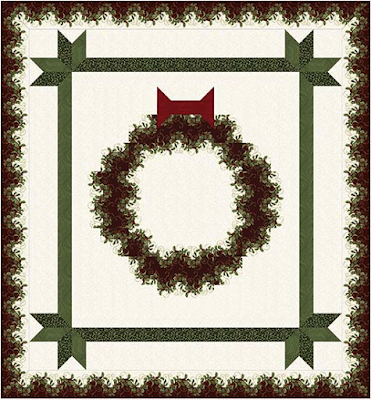 Click here to purchase the Winter Sleigh pattern. 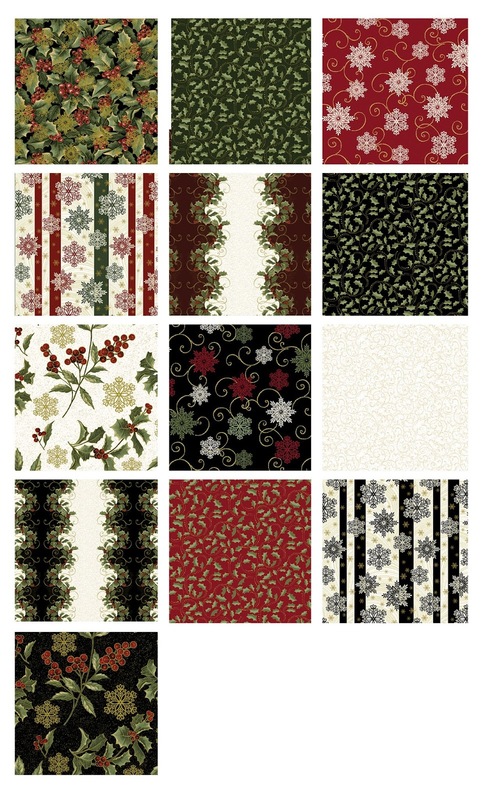 Click here to see the entire Winter Wonderland collection. 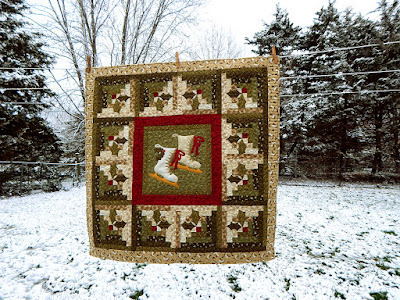 Today we're featuring Cherry Guidry's Let It Snow collection. 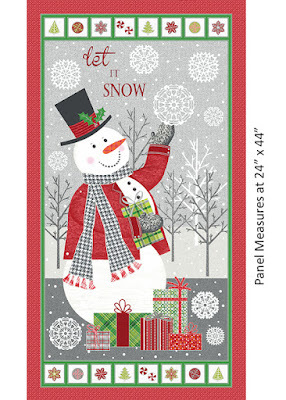 These whimsical prints start with a friendly snowman panel, complete with intricately detailed snowflakes and small squares to fussy-cut. The collection continues with 23 coordinates, from large ornaments and small snowmen to swirled circles, stripes and a houndstooth print. 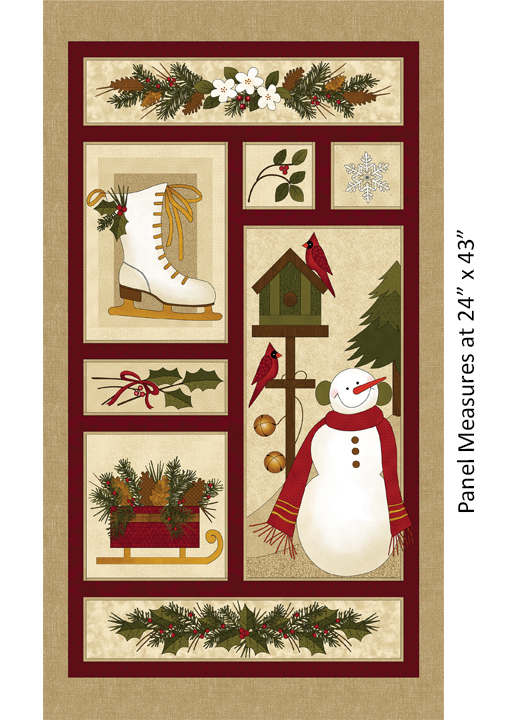 Use the panel and a couple coordinates to make the Let It Snow wall hanging. Use the prints to make Merry, full of brightly colored wrapped packages. 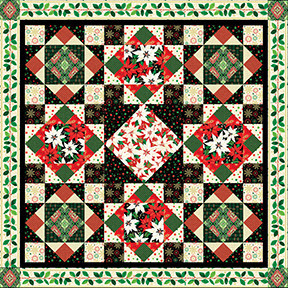 Cherry also designed two additional patterns featuring Let It Snow. 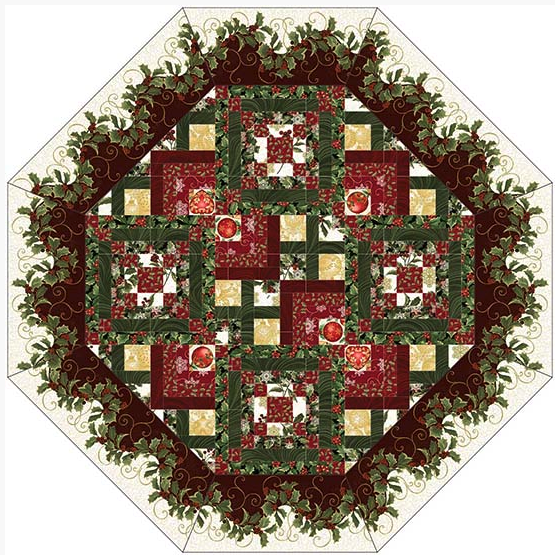 Click here to purchase the Christmas Blossom pattern. 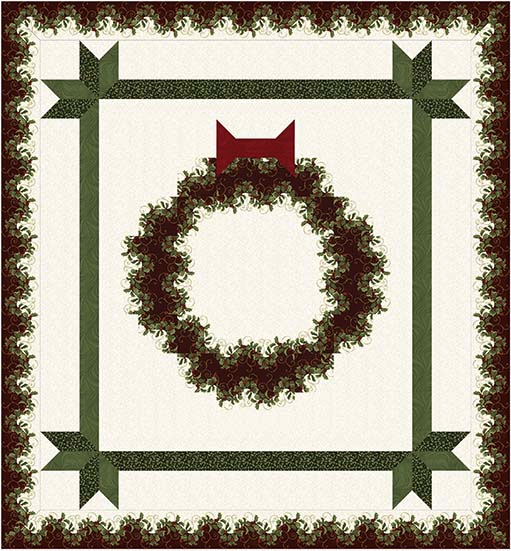 Click here to purchase the Holly Jolly pattern. 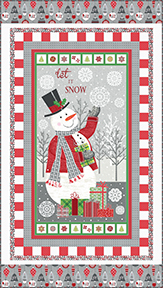 Click here to see the entire Let It Snow collection. We've had so much fun sharing nine different designers' ideas for using Fandangle this week! 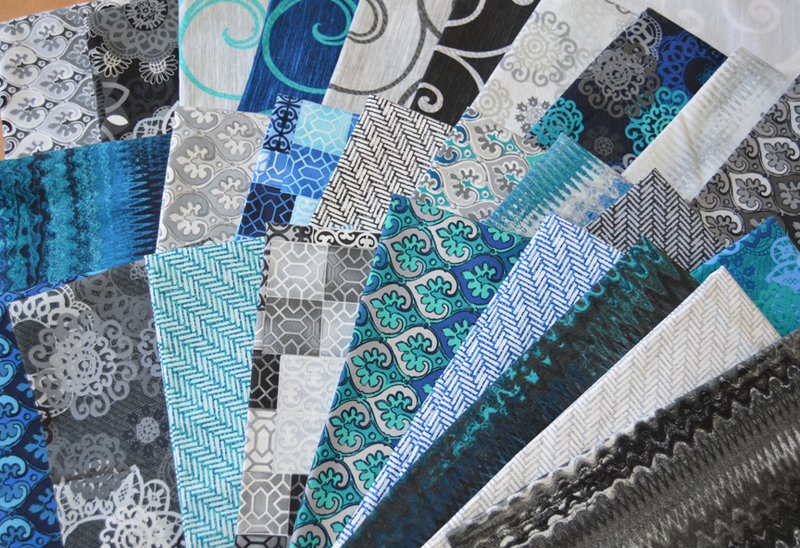 We're finishing up our Fandangle spotlight with a virtual trunk show, sharing Christa Watson's patterns. 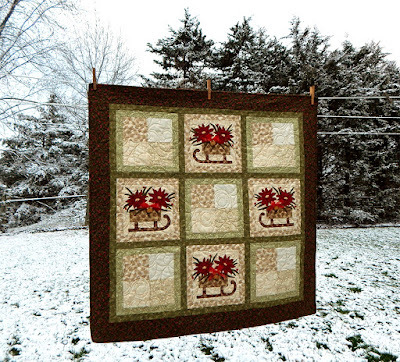 "I wanted this quilt to be a show stopper! 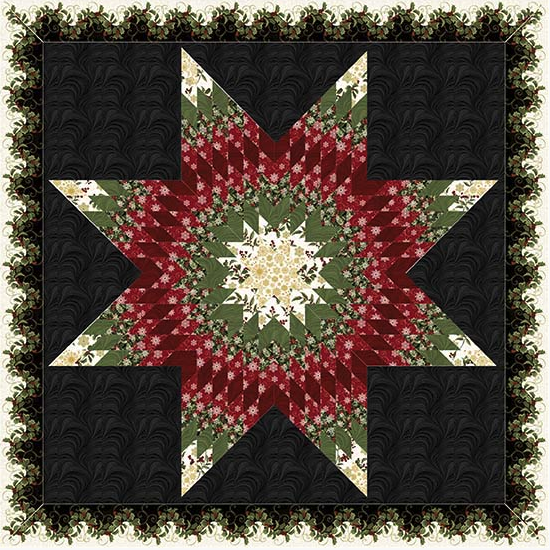 When I designed it, I had so much fun playing with the cool and warm palettes. 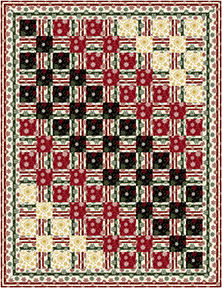 I wanted a pattern that would make them work harmoniously. I love the grays in the background—they create a shadow effect." 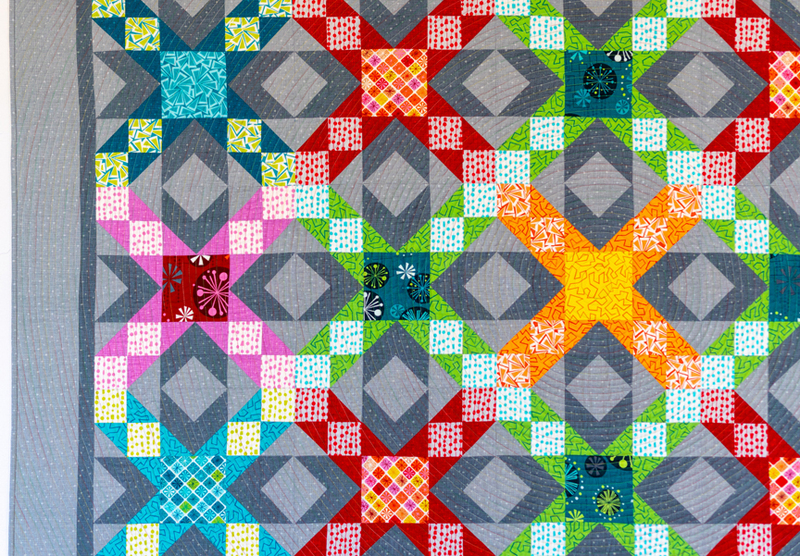 Click here to read Christa's post(s) about making the Sparkling Stars quilt. Click here to purchase the Sparkling Stars pattern. "This scrappy modern quilt is made with precuts. 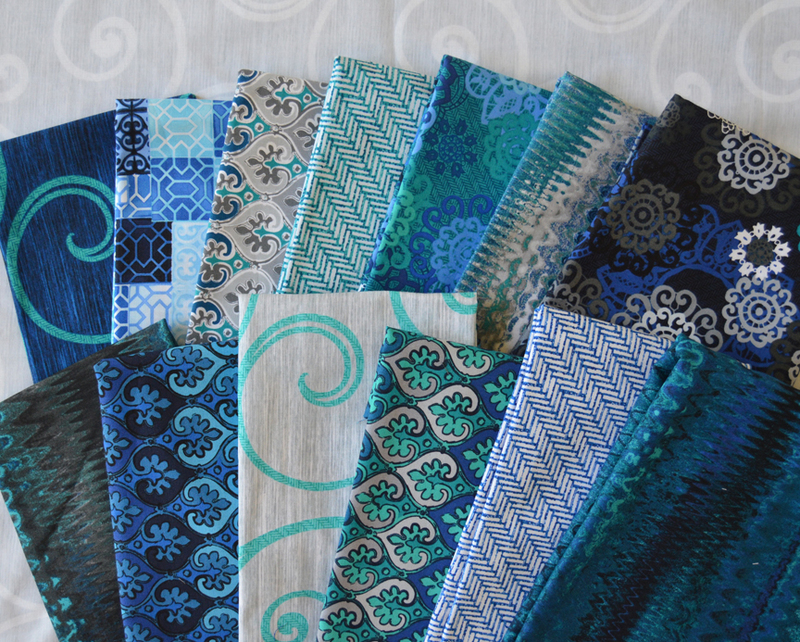 I’ve sewn it in both warm and cool colors. It’s easy to make and very graphic." Click here to read Christa's post(s) about making the Surplus Strips quilt. 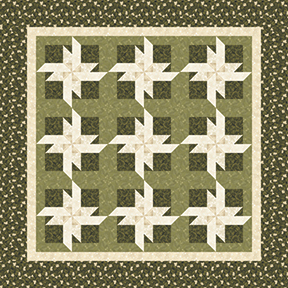 Click here to purchase the Surplus Strips quilt pattern. 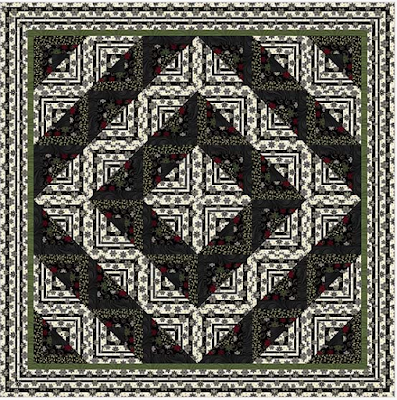 50" x 60" or 60" x 72"
"I need to give a shout-out to Heather Black. 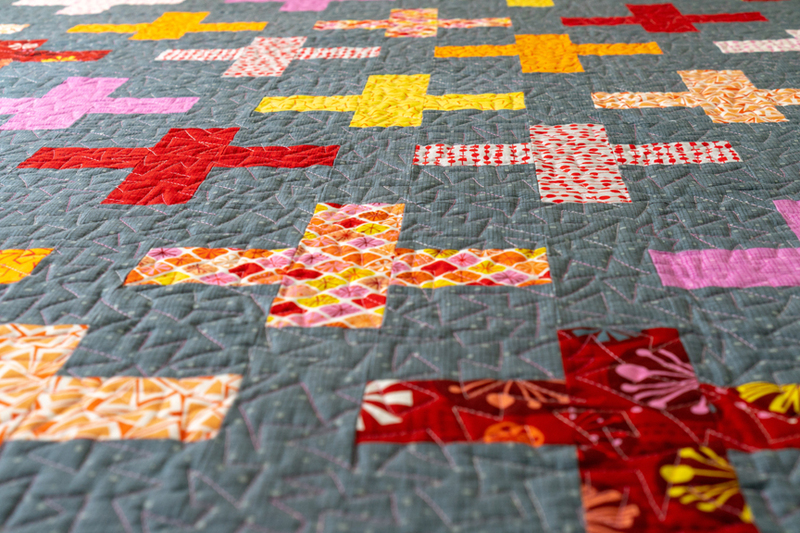 She has an amazing sense of color, style and scale. 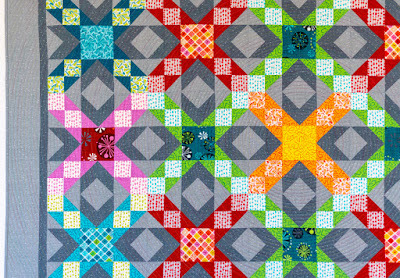 She designed it, we co-wrote the pattern, and she made it. 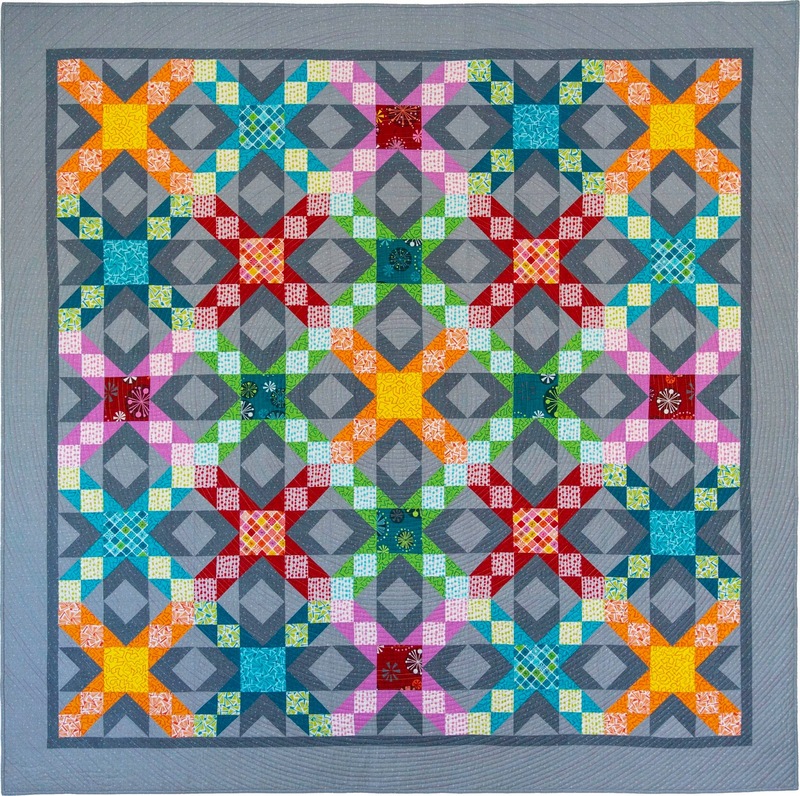 Such a fun collaboration!" 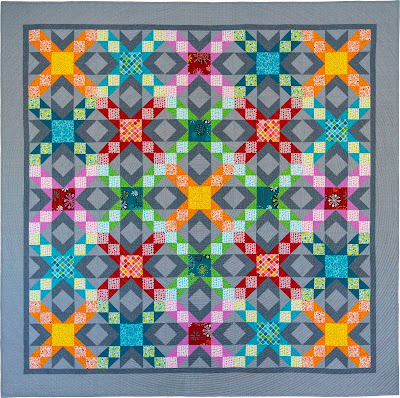 Click here to read Heather's post about the Pearl Pendants quilt. Click here to purchase the Pearl Pendants quilt pattern. 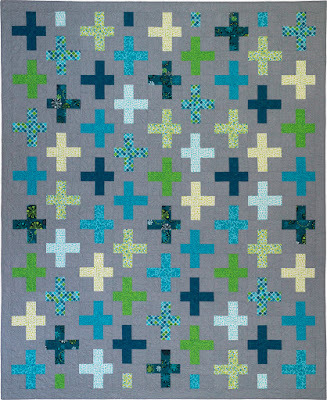 And last but not least, the free quilt pattern! 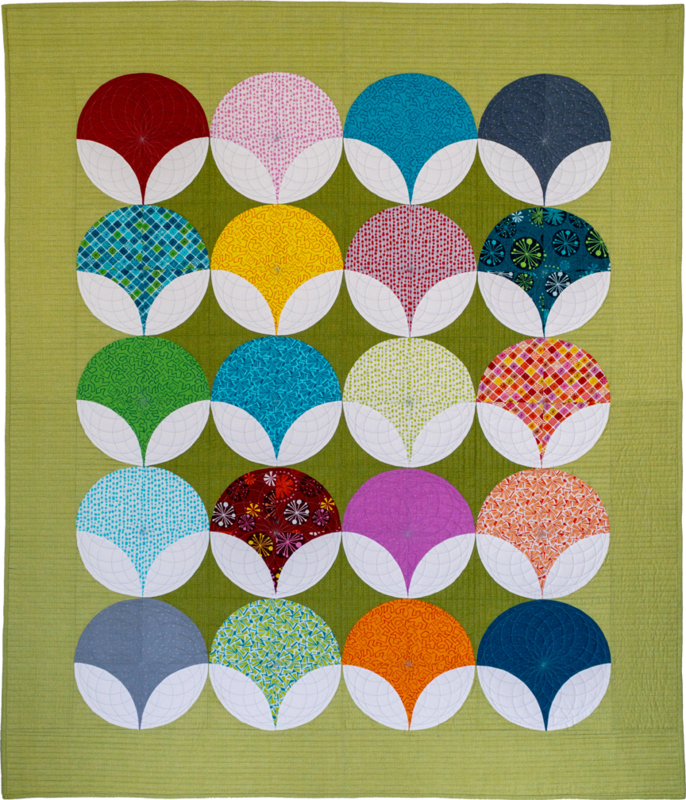 Plus: Starting on August 17, Christa will be hosting a quilt along using her Dot 'n Dash pattern in Fandangle prints! 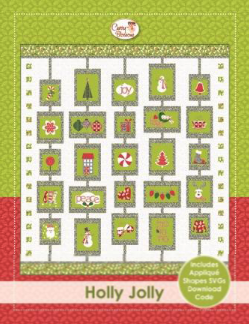 Click here to find the details and join the fun! Did you catch all 4 days of our Fandangle hop?